The short answer is a resounding yes! You can be a two-person job shop or a 5000 person aircraft manufacturer and lean manufacturing principles apply equally. Lean manufacturing is a philosophy of continuous improvement (kaizen) with the goal of providing extraordinary value to the customer through a process of eliminating waste, (activities that do not add value), from every aspect of the operation. True lean manufacturing principles empower every individual in the organization to continuously improve value generating activities and eliminate non-value generating activities. Pull – The principle of allowing demand to pull products as opposed to forecasting to push. This minimizes overproduction and reduces working capital. Flow – The principle of creating a work in process that smoothly flows through production with minimal or no interruption. Takt – Takt is a German word that means beat or timing. In a lean manufacturing context it is the pulse or the heartbeat of production. The rhythm is determined by customer demand and can be adjusted to respond flexibly to changes. Zero Defects – The principle of fixing problems immediately. Do not accept defects or pass them down the line. In this way subsequent defects are avoided and quality standards are maintained. If you embrace lean manufacturing principles, and embody them in your work culture, they will guide you to adopt processes and activities best capable of maximizing efficiency, productivity and profitability for your enterprise. So the question now becomes what actionable steps can you take to achieve these goals? As described previously a waste (Muda in Japanese) is a process or activity that does not add value. Lean manufacturing identifies seven common wastes which can be mitigated to improve profitability. In practical terms profit is your selling price less your costs. Your selling price is market driven i.e. if your price is too high your customers go elsewhere and if you price too low the value perception of your product is diminished and eventually so are sales. So the only way to increase unit profitability is to reduce costs which requires elimination of all waste in the production process. Waste elimination increases customer satisfaction through on-time delivery, high quality standards and optimal price. Long supply chains. Mitigate by sourcing raw materials closer to the factory. Lean inventory management best practices offer tremendous opportunities for increasing efficiency and profitability. This refers to any unnecessary motion taken by individuals, for example lifting heavy objects from the floor to a workbench. This induces stress and can cause injuries. A majority of these issues can be fixed by applying continuous flow techniques and using standardized work instructions to ensure consistency of time and method for each production step. Performing unnecessary processes or tasks not required by the customer. For example machining a part with too tight a tolerance or painting areas that will never be seen or affected by corrosion. Implementing Standard Operating Procedures with the built-in flexibility to accommodate specific customer requirements are critical to minimizing the adverse cost and time impacts of overprocessing. As stated in the introduction lean manufacturing is kaizen, or process of continuous improvement. It is not a one–time goal. 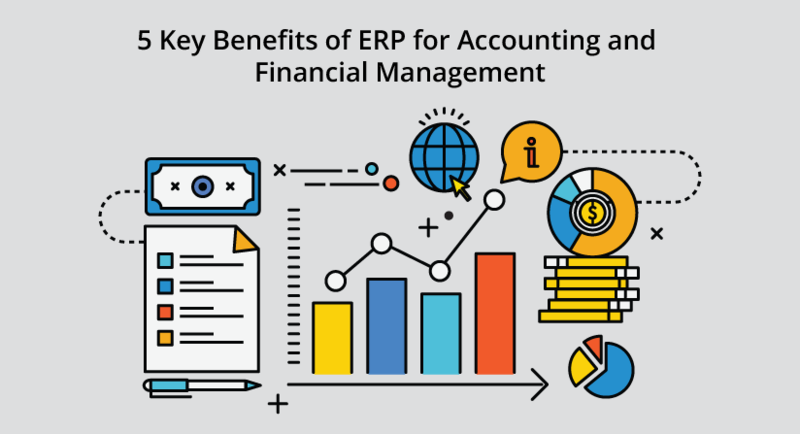 Continuous improvement requires constant monitoring and analysis, and by far the most efficient means of doing this is by utilizing an ERP system. An ERP system will provide comprehensive, end to end, real-time visibility across your manufacturing enterprise. It will provide process flow transparency across all operational silos. For example pulling parts from stock and transporting to work centers would previously have been manually recorded on cards. Production operators would manually record items produced but not scrap created. At the end of the day the results of this error-prone process would be manually entered into a computer-based system. In contrast an ERP system would track all material movements and operations using barcode scanners. It would provide an accurate and real time inventory status which removes the safety stock requirement to hedge against uncertainty. That working capital would be freed up for deployment elsewhere in the operation. This data is available to anyone, anywhere, at any time and on any device. Lean manufacturing principles offer significant opportunity to maximize the efficiency and profitability of any manufacturing enterprise whether small or large. However waste elimination requires accurate data tracking and manual data management is not up to the task. In order to gain full control over waste elimination accurate data tracking is required which can only be undertaken effectively with an ERP system.